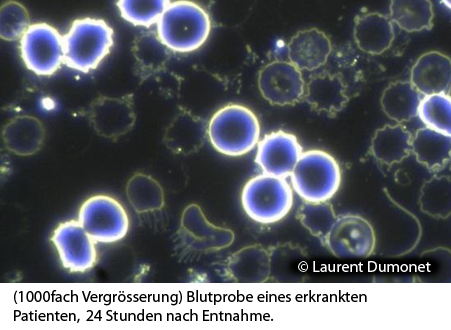 Based on the teaching of Prof. Dr. G. Enderlein (1872-1968), known for his research and hypothesis on the pleomorphism of micro-organism, pleomorphism meaning the interaction of cells, viruses and bacteria with another and their transformation in different forms. 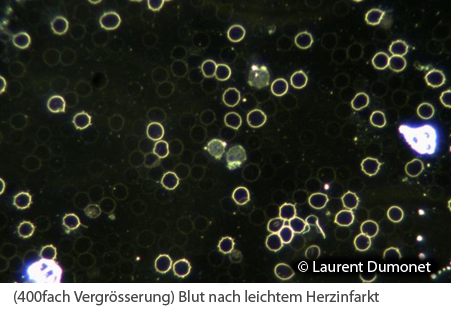 Dark-Field Microscopy is used in my office to observe and evaluate vital blood. Vital blood meaning a fresh drop of blood, right after it was taken from the tip of a finger. 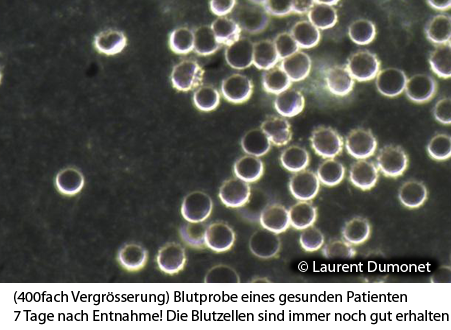 A magnification of up to 1000x allows to clearly observe the blood cells and their movements (red and white blood cells etc.). 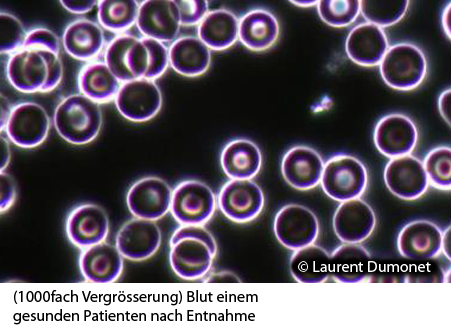 Many important indications and information can be gained from the visible form, size, shape and position of the blood components. 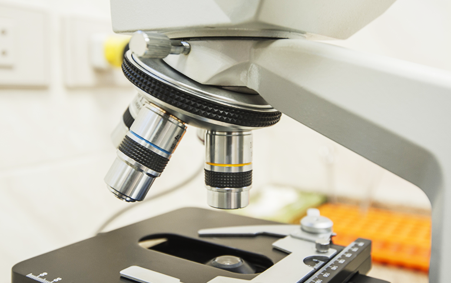 With the help of a high-end microscope camera, you will be able to follow on a screen the examination and evaluation of your blood with your own eyes in real-time.